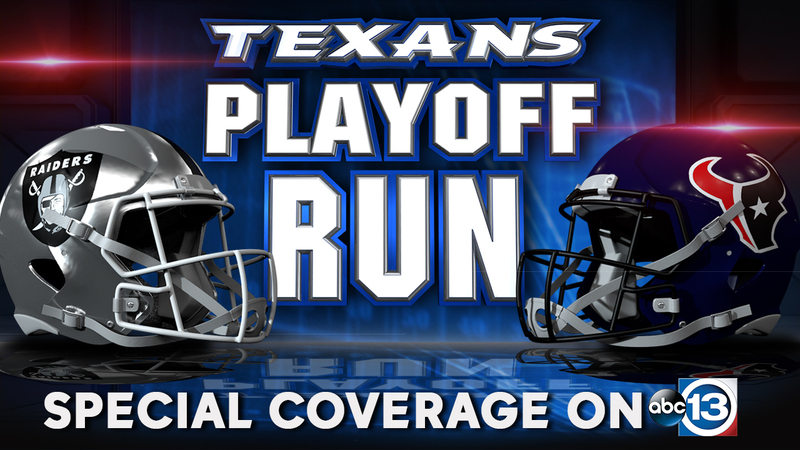 The Houston Texans head into the playoffs with high hopes and low temperatures this weekend at NRG Stadium. There was something noble in how Houston Texans coach Bill O'Brien and his Oakland Raiders counterpart, Jack Del Rio, masked their disappointment while naming respective starting quarterbacks for their Saturday AFC Wild Card postseason game at NRG Stadium. Although hardly planned, the game will feature a duel between quarterbacks who represent the most expensive free-agent disappointment of this last offseason against the first rookie in the Super Bowl era to debut as a starter in a playoff game. To sum up: Oakland rookie Connor Cook debuts on the road in a playoff game against Houston's expensive, free-agent disappointment, Brock Osweiler. For the Texans (9-7), champions of the AFC South, Osweiler reclaimed his post because Tom Savage was lost to a concussion in the season finale against the Tennessee Titans. Savage supplanted the ineffective Osweiler against the Jacksonville Jaguars on Dec. 18. The Raiders (12-4) roared to their first playoff appearance since 2002 behind MVP candidate and third-year quarterback Derek Carr. He passed his way onto some MVP ballots by passing for 3,937 yards and 28 touchdowns before breaking his right fibula in Week 17. In week Carr's journeyman backup, Matt McGloin, injured his shoulder. Now Cook will get his first NFL start. On Wednesday, O'Brien ruled Savage out against Oakland and elevated Brandon Weeden to backup status. That leaves the responsibility of beating the Raiders solely on Osweiler, whose poor statistical production this season was at the crux of the Texans' woeful offense and minus-49 point-differential. "As a head coach, every decision you make is all about the best interest of the team and what's the best way that we can help the team win," O'Brien said. "As it relates to players maybe being moved from starter to backup role, I think every coach and every player learns from those situations." Following his decent midseason run as the starter with the Denver Broncos last season, Osweiler was deemed the solution to the Texans' longstanding issues at quarterback. Houston signal caller Brian Hoyer committed five turnovers in last year's embarrassing 30-0 postseason setback to the Kansas City Chiefs, prompting the Texans front office to bestow a four-year, $72 million contract upon Osweiler. "I've had great success in this league playing football so I'm very confident," Osweiler said. "I'm very confident in my teammates and I know we'll be ready to go."